Who says exes can't get along? 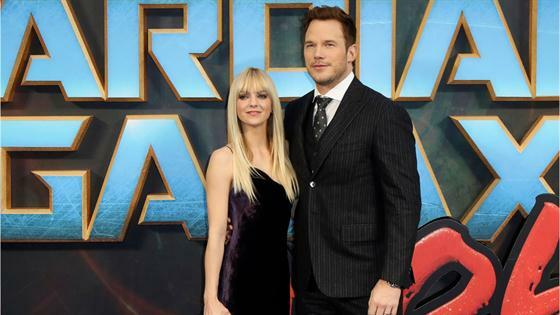 Anna Faris took to Instagram on Monday to congratulate her ex-husband, Chris Pratt, on his engagement to Katherine Schwarzenegger. The Jurassic World star announced on social media on Sunday evening that he and his leading lady are set to tie the knot. "Sweet Katherine, so happy you said yes! I'm thrilled to be marrying you," Pratt captioned a cute snap of the couple following his proposal. "Proud to live boldly in faith with you. Here we go!" After seeing the post on Instagram, Faris, who shares son Jack with Pratt, commented, "I'm so happy for you both!! Congratulations!" Schwarzenegger later posted the same photo to her Instagram, which Faris also commented on, writing, "I'm so happy for you both!!! I love you guys!!" Pratt and Faris announced their split in Aug. 2017 after eight years of marriage. The exes have both since moved on, with Anna dating cinematographer Michael Barrett. Pratt and Schwarzenegger first sparked relationship rumors in June when they were photographed having a picnic together near Santa Barbara, Calif.
Back in October, Pratt and Faris reunited to celebrate Halloween with their son, with their dates also in attendance. It was just last month that Pratt shared a sweet tribute to Schwarzenegger in celebration of her 29th birthday. "Happy Birthday Chief! Your smile lights up the room," Pratt wrote alongside a series of photos. "I've cherished our time together. Thrilled God put you in my life. Thankful for the laughs, kisses, talks, hikes, love and care." Pratt and Schwarzenegger recently returned home for a New Year's Eve trip to Cabo with her family and his son.